Note: I didn't think a "review" in the traditional sense made sense for Pinball FX 3. The "game" itself is only really a feature-rich hub for Zen Studios to release its pinball tables on, so it's more a series of menus and online features than a game. As such I've written an in-depth analysis below, but a "score" at the end seemed rather pointless. Related reading: Pinball in VR is really, really good too. Matt's full review. Zen Studios has mastered the art of digital pinball, that much is clear. Zen Pinball 2, and its dozens and dozens of tables, is still a perfectly playable, viable platform for anyone who enjoys the classic feel of bumping a ball around a table for points. And, with dozens and dozens of tables, complete with online leaderboards and the ability to compare scores directly with friends, the value you can get from that existing release is near endless. For this reason, it’s a little mystifying why the studio has decided to build a “sequel” to Zen Pinball 2, rather than just continue developing new tables for the existing platform. Pinball FX 3 demonstrates minimal improvements in terms of pinball action over what Zen Studios was already doing nearly perfectly. And that comes at a cost. While you can import most of your old table purchases into this one (there are around 65 tables available on Pinball FX 3 that you'll unlock for free if you already owned them in Zen Pinball 2), there are glaring omissions as a consequence of licenses expiring. The blindingly brilliant Ninja Gaiden table, for example, is lost to history with the release of Pinball FX 3. So too is the Football Super League and Plants Vs. Zombies tables. 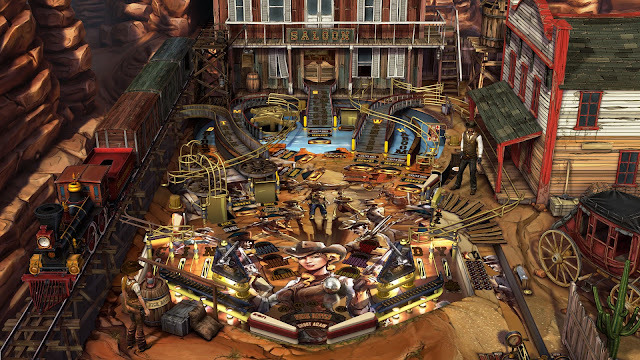 While most of the tables made the jump, the lost of those that didn’t still bites, so the question then becomes; what does Pinball FX 3 have to compensate? Some new tables, for a start. There’s a Universal classics pack of three tables - Jaws, Back to the Future, and ET, and these are all delightful. 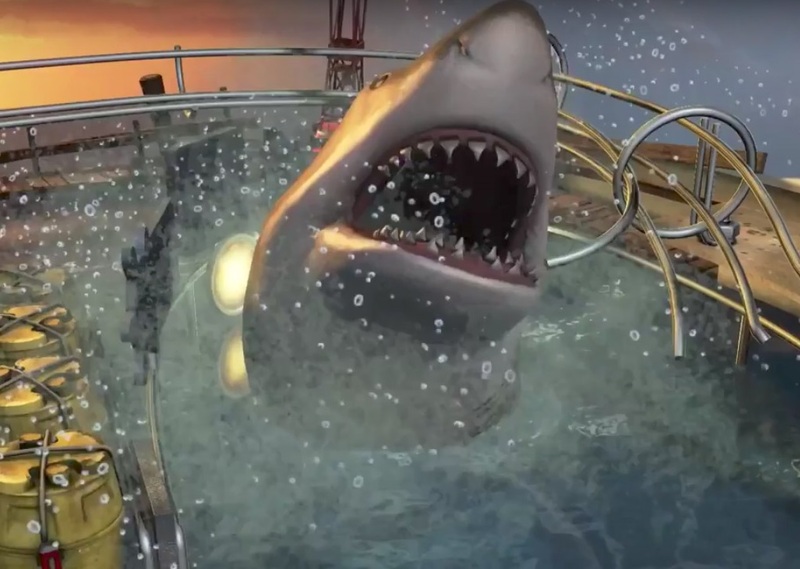 Jaws, in particular, is a new favourite table of mine, but all three are enjoyable for the way that they limit the bells and whistles; in homage to their status as classic films, the tables play like classic, old pinball layouts, and I really enjoy that, especially on the back of the previous Bethesda pinball table releases which really pushed the boundaries for what was possible using the base pinball mechanics. 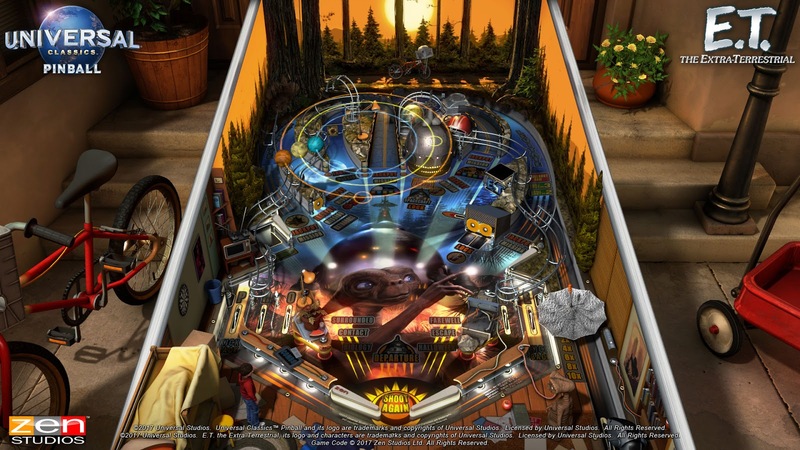 Beyond the new tables, Pinball FX 3 offers a number of enhancements that Zen Studios has clearly built with the emergence of eSports in mind. There’s a far heavier focus on direct competition this time around, with player-created tournaments being easier to structure. My interest in multiplayer starts and stops with comparing my top scores with my friends list, and Pinball FX 3 continues to accommodate me with that, of course, but there’s very little value to me regarding the rest of the new multiplayer features. I can, however, understand why Zen Studios sees the potential in fostering a more dynamic and committed online competitive scene, and I’m sure that this feature will prove popular. One odd omission is that you can’t directly invite friends with a copy of the game to a private tournament that you’ve created. After you create the table, you’ll need to separately tell your friends to search for your username, and then input the password that you create when setting up the tournament. It would have been far better to have an option to simply send an invitation to your friends to participate from within the game. There’s been some new enhancements to the single player game too, though they’re not necessarily things I care for. Because everything in games needs to have experience bars, you now earn experience points for playing on tables and achieving objectives. As you level up you earn additional customisation options and the like. This was clearly done to drip-feed rewards to players and keep them going. It’s not something I need (I’ve been playing Zen Pinball for half a decade without needing experience bars), but whatever helps retention, I guess. Single player tables now have a challenge mode too, which tasks players with achieving specific objectives on a table in order to earn stars. A challenge might be to get a high score using one ball, or to get the most points possible in five minutes. The better the score, the more stars you earn. This was clearly brought over from mobile games and the kind of challenges that keep people playing those, but again, rather unnecessary for me. It’s great for Zen Studios if it helps retention, but again I simply like chasing high scores. Finally, there are now “upgrades” and “wizard powers” that you can unlock for each table. These have effects that make it easier to score big. One wizard power, for example, slows motion right down, making it easier to make a precision shot for a short period of time. Other passive abilities provide score bonuses for certain actions (for example, a boost to skillshot rewards). If you pick the right abilities to suit your play style, you can significantly boost your performance on the tables, but again, it’s all rather superficial to me, as I simply like the challenge of a pinball table. Thankfully, the game tracks leaderboards separately for people who are playing with these boosts, and people who prefer their pinball vanilla, so people like me are not disadvantaged for not bothering with this feature. 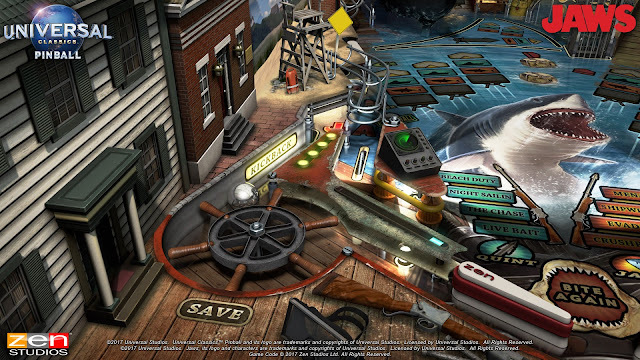 What I do like a great deal about the new Pinball FX 3 is the interface, with is far clearer and easier to navigate. There’s also tutorials and information boxes that make it much easier for new players to understand the (now) feature rich game they’ve got in front of them. So if nothing else, it’s a far more enjoyable game to spend time and navigate around in than the clunky and inefficient interface that powered Zen Pinball 2. If this all sounds negative, it’s only because the new features to Pinball FX 3 aren’t really for me. But they might be for other people, and anything that gets more people playing pinball is a good thing. 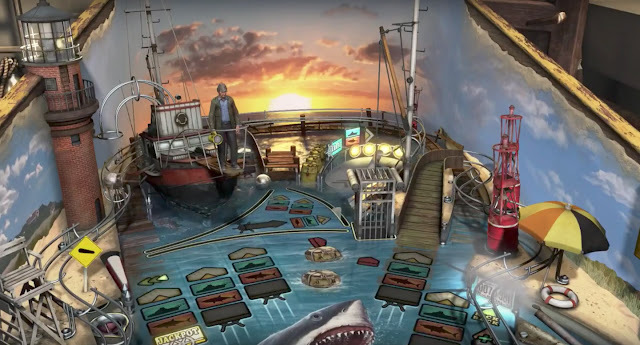 Importantly, Pinball FX 3 hasn’t actually messed with the core pinball mechanics that I love, and Zen Studios still knows how to make a killer pinball table, as evidenced by the new Universal Classics tables. This is the platform for Zen Studios’ work going forwards, and while I’m going to miss a small few tables that haven’t made the jump, I’ve got no problem whatsoever with making this my hub for pinball going forwards. Finally, a request to anyone who is listening at Zen Studios: Get some Japanese properties. A SEGA table pack with Hatsune Miku, Yakuza and Persona tables, or an Studio Ghibli table pack with Totoro, Spirited Away and Howl's Moving Castle, would be so delightful. I love the tables that you are producing, but it's very western property orientated. A bit deeper variety in the table themes, at this stage, would be a great idea.